The question of whether we can fight faith will always remain a mystery. But the bigger question is what happens when we stop fighting it. 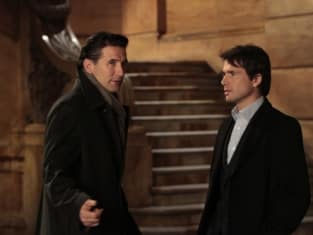 Gossip Girl Season 4 Episode 17: "Empire of the Son"
Rufus: We'll get through this. Lily: You sound so sure I almost believe you. Lawyer: They're ready for us. Lawyer: Lily, this is Assistant District Attorney Vincent. He's going to be taking your statement. ADA: Whenever you're ready, Mrs. Humphrey. You didn't. (Pause) You did. Permalink: You didn't. You did. Gossip Girl Round Table: "Empire of the Son"